Why is it that some people get so many interviews and others don’t? Is it their resume? Their network? Their communication skills? It is a combination of all of these methods? 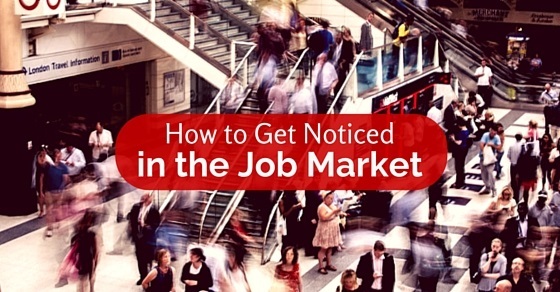 Getting noticed in the job market is more strategy, than luck. Whether you are in career transition, looking to move up in your current field or just recently graduated, the method that you use to search for a job will consist of similar applications. Most people spend time behind their computers sending out their resumes to job postings online, and occasionally making a phone call.The workplace has changed significantly over the past decade and so has the job search.Employers are more commonly looking for people who will be the right fit, along with the ability to demonstrate how you can exceed the business objectives assigned to you. Start with your resume, does it say this? Does it tell the employer how and why you can do something beyond the regular job duties? When you write your resume give solid examples of how you have helped to contribute to the workplace, this impact does not have to be significant, rather something that shows effort. Also make sure your resume is not over crowded or over two pages. Make your resume the first goal to be completed for your job search. Want to get recruiters to come to you? Use the public resume posting function on websites such as Monster, Indeed,Wisestep, Career Builder and Workopolis. When you go to create an account with these websites, will always ask you if you want to post your resume live. If you want to increase your exposure then you should strongly consider using this function – recruiter’s use these resume banks to search for candidates all the time. If you delete and repost your resume every day or so, this will keep you at the top of the resume list. Utilize all the tools LinkedIn has to offer – groups, 140 character headlines, profile features, blog postings and more. LinkedIn has made it their mission to help you get noticed. In fact, it is the one place that easily allows you to easily connect with senior level employees of various organizations. You can also get involved in conversations on LinkedIn groups, you never know who is reading those messages and if you come across as very impressive and knowledgeable you could easily have the right person notice, and connect with you. The next thing you want to do is get out and meet people, show up to events, not only do you get to go to swanky venues for events, you also get a chance to get out there see what is happening in your field, and what others have to say. In regards to the job search you will also meet others who might be struggling with similar problems and you can learn what they are doing to overcome their job search woes. Nowadays we don’t even need to do a research looking for events or special opportunities. They are always around so you could “catch it” anytime. Networking events don’t necessarily have to be a room full of people just standing around talking, it can be a volunteer gig you pick up, a seminar, or a dinner. Conferences, forums, master-classes etc. are organized everyday by different companies. So you can focus on the topic you’re interested in or follow events created by organization you always wanted to work in. One thing to keep in mind is to not use it as an opportunity to meet everyone in the room. Keep an eye on speakers, ask the questions, be active and show your interest. Make a goal at each event to meet 2 or 3 people, and build a professional connection with them. After making those connections make it a point to follow up with an email – not just a request to be connections on LinkedIn – but a genuine message saying nice to meet you. Sharp interview skills and interview follow up are essential, if not the most important part of the job search. Make yourself memorable during an interview by making a genuine connection with the interviewer. Recruiters meet with several people weekly, help them to remember you by having well-structured answers for the interview. Following up after an interview with a simple thank you letter or application status inquiry will also put your name back in front of the hiring manager. This is a great way to tell them again why you are a good fit for their organization and how you can help the company meet its organizational objectives. Finally get rid of your fear. If you want to achieve something new, you should try something new. Usually our expectations from ourselves at a new place or vision of interview process much more dramatically than real things. Our doubts about our own effectiveness always become an obstacle on the way of employment. So just ask yourself, is it really so hard to be noticed or, maybe, you just didn’t do enough to reach your goal? Be honest with yourself. Sometimes people stop at the stage of searching for the answers, reading some articles and waiting changes for the best. Then it just turns to habit. So haven’t you joined such kind of a stream? Check your motivation and start to implement all that information that you’ve got right now, step by step. Don’t be afraid to learn from your own mistakes, more I can say, it could bring you even the bigger benefit. Why? The ability to make a solid analysis of what you’ve done and transform it to right consequences is a fundamental skill for moving in right direction. It is essential to make an effort to use a mixture of these methods to have a successful job search. Consistency is key, if you try one method and it doesn’t seem to be working right way – keep revising and trying. Author Bio: Jennifer Bouley, CCP, Toronto, Canada. Career Coach at CraftResumes.com. Motivator and Resume Writer with experience in mentoring, coaching, and counseling internationally trained professionals.